Adventure Island 3 (Nintendo NES) - NEW SEALED H-SEAM, MINT GOLD VGA 85+! Adventure Island 3 (Nintendo NES) NEW SEALED H-SEAM MINT VGA 85, SUPER RARE! AUTHENTIC Adventure Island 3 for Nintendo (NES) cartridge only! ADVENTURE ISLAND 3 Nintendo NES Game Cartridge, Cleaned & Tested! 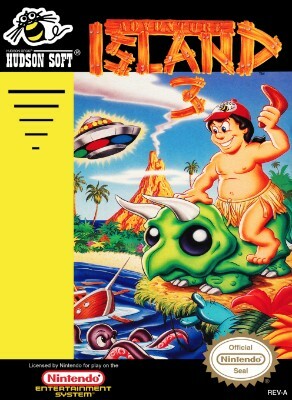 Adventure Island 3 (NES) Tested! Nintendo NES Game - Adventure Island 3 - How many times can she get kidnapped? Adventure Island 3 (Nintendo NES) *AUTHENTIC CART ONLY - TESTED - Fun! Awesome.